Guidon or Burgee flags signify a unit designation and corps affiliation. They can be rectangular, triangular, or swallow-tail in shape. Guidon flags are sized 20" tall x 27 3/4" long. 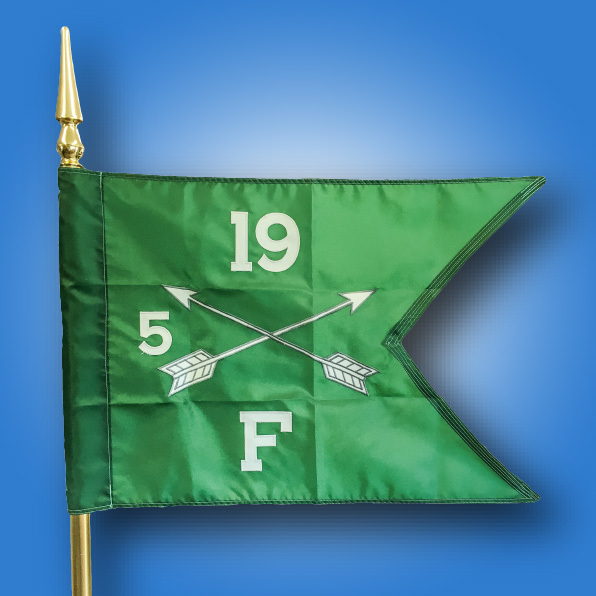 Digital Printed Guidon Custom Flags: Fully printed, high resolution on 200 denier nylon material. Perfect for four-color process, spot color, or full-bleed artwork. For large order custom flags, visit our wholesale custom flag page.